According to the WDNR website, radio at Widener dates back to the 1960s, when students at what was then known as Pennsylvania Military College “worked together to petition the school’s administration for the funding needed to build a radio station. The funds were allocated and studios were erected in Old Main. A carrier transmitter was purchased and installed in 1968.” Initially called WPMC, the 640 AM carrier current station changed its call letters to WDNR in 1972 and by 1977 it had acquired an FM license to broadcast over 89.5 FM. 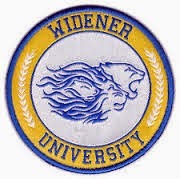 Up until recently the 10 watt class D non-commercial radio station played a variety of music and broadcast Widener football games. There’s no word yet on what this means for the future of the station. Messages left for WDNR were not returned at press time, but I will report on any updates in tomorrow’s College Radio Watch column.